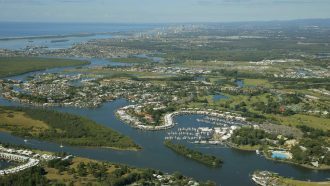 The northern corridor of the Gold Coast is seeing strong growth in property sales this year with at least two suburbs achieving record sales worth tens of millions of dollars! Villawood’s $500 million project at Helensvale sold over 100 lots in less than a year, which prompted the company to expedite future land releases. The boom comes after the commencement of the second stage of the Gold Coast Light Rail. 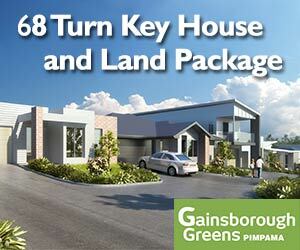 Meanwhile, a Mirvac project in Pimpama secured $41 million in deposits for more than 150 sites. Pimpana has recently been named as Australia’s fastest growing housing market by the Housing Industry Association (HIA) in its Population and Residential Building Hotspots 2017 report. However, despite the positive outlook in real estate, experts are wary that traffic could worsen in the already congested roads. Mr Mays said the northern corridor was ‘absolutely booming’. “It’s the biggest growth area on the Gold Coast and my only concern is the traffic,” he said. “The on ramps and off ramps are a nightmare and the ramping on and off the M1 is a serious accident waiting to happen. “Foxwell Road urgently needs upgrading as the single lanes create major problems with traffic backing up so far that it can take 15 minutes in the morning to get up to exit 54. “I often go into work at 4.30am and the amount of traffic on Hope Island Rd astounds me. Traffic is the biggest issue to everyone. I know our travel times have become a nightmare and they are killing business profitability for everyone,” Mr Mays warned.